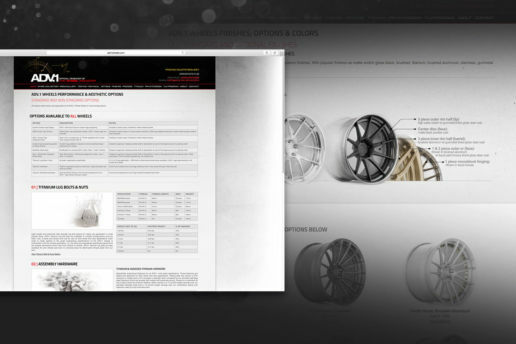 Premium aftermarket wheels website design, branding and print based design. 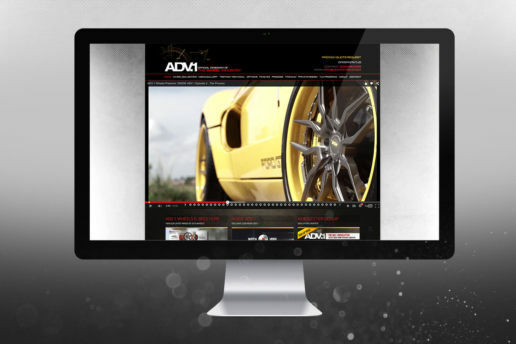 ADV.1 Wheels manufacture premium automotive wheels in the USA. With such a wide range of product customisation and options, it was important to design the website in a clear, systematic way. They also have an expectation of reaching a high-end target audience – another factor in the design language. 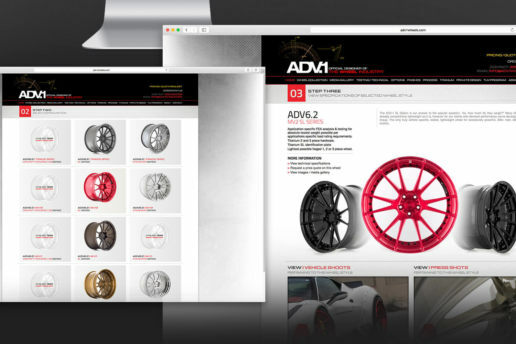 ADV.1 Wheels was a leading wheel manufacturer for premium wheels for the automotive industry. 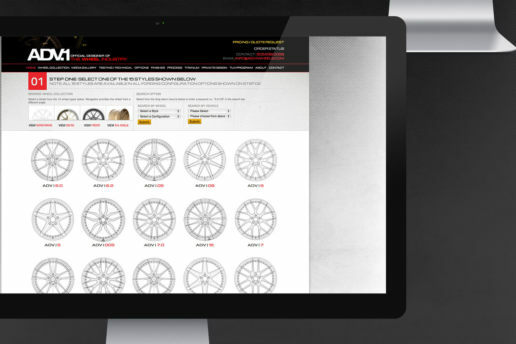 With high quality wheels, targeting brands such as Ferrari, Mercedes, Lamborghini, McLaren, Audi, BMW and so on, it was important to create a brand image suitable for customers in this particular market. My job for ADV.1 Wheels was very broad – I worked in multiple deciplines for the company, mainly in the print and web industries. So, I created a managed their website, which was my main responsibility. We had very little website issues throughout that time frame – the website had a remarkable uptime in the time period I was in charge of it. ADV.1 hired me as a freelancer for their print and digital work for around 6-7 years. 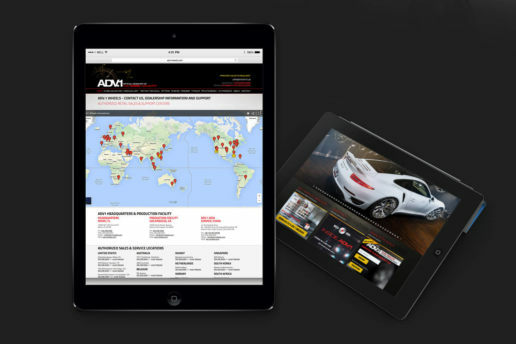 We accomplished a lot, and I was there right from the birth of ADV.1 Wheels when it was a small company. Whilst the website went through a few of expected revisions throughout that period, the base was similar and the site always on the improve. 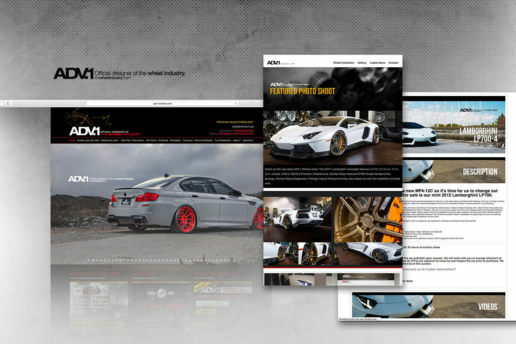 Such the foundation of the website I created, it stood the test of time for most of that time period, with Jordan (the owner of ADV.1 Wheels) having strict instructions as to what he wanted created. The style was more fluid, where we’d make adjustments a long the way. 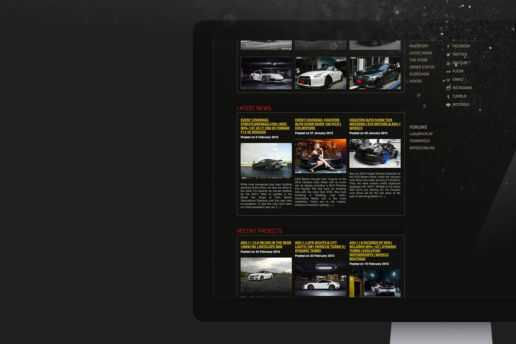 The website also set a benchmark for the competition of aftermarket forged wheels / rims which includes the likes of BBS Wheels, HRE, Vossen, Enkei, Volk, Advan, etc. 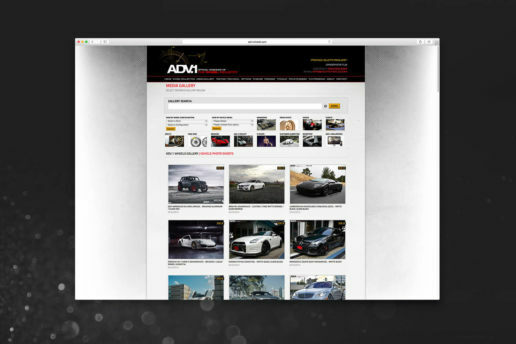 I had partial say in the actual design of the website, working as a Graphic Designer at ADV.1. With a premium look and feel to the website and print material, the main issue was to organise the hundreds of custom made 1 piece, 2 piece and three peices wheels they had to offer. If you can imagine their line up of products (ADV5, ADV7, ADV10, ADV15, etc) and then produced in different specifications (MV2, MV1, Track Spec, Track Function, Race Spec, Deep Concave) – it makes for a very intricate and variable lineup of products. I also design print related material, edit photos, upload images to social media and create HTML newsletters for ADV.1 Wheels.